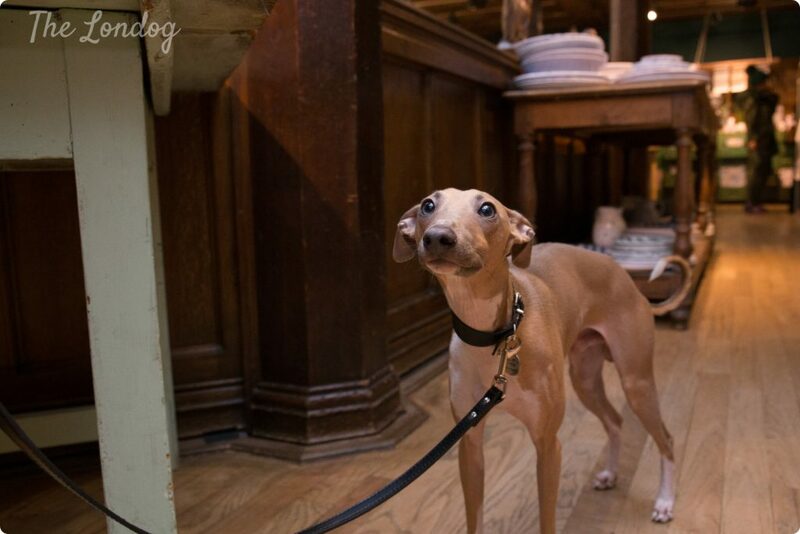 Have you ever wondered whether you can bring your dog to any department store in London? The answer to the question is yes, there are some dog-friendly department stores around. 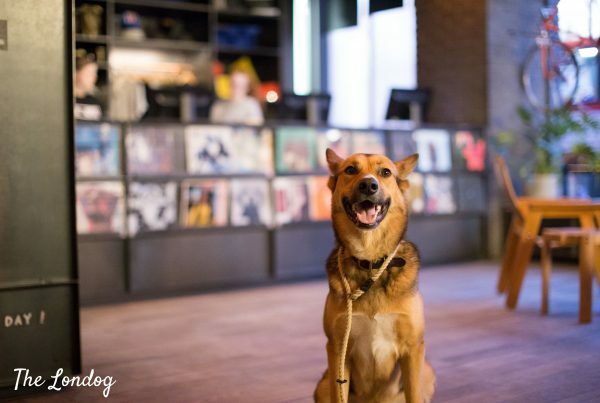 We researched the pet policies of the most famous department stores, to share some insights with you about where you can and cannot take your dog when you go shopping. This handy guide is for you! At Liberty London – the truly stunning department store that was opened in 1875 by Arthur Lasenby Liberty as “a London emporium laden with luxuries and fabrics from distant lands” as still is a landmark store -, you can find the best of fashion and luxury homeware and get lost among their signature fabrics. Good news is that, if you have a small dog, you can take it with you on your visit. Although there is no written rule about the maximum size of a dog, we confirmed with the Customer Care that they don’t allow larger dogs for security reasons. 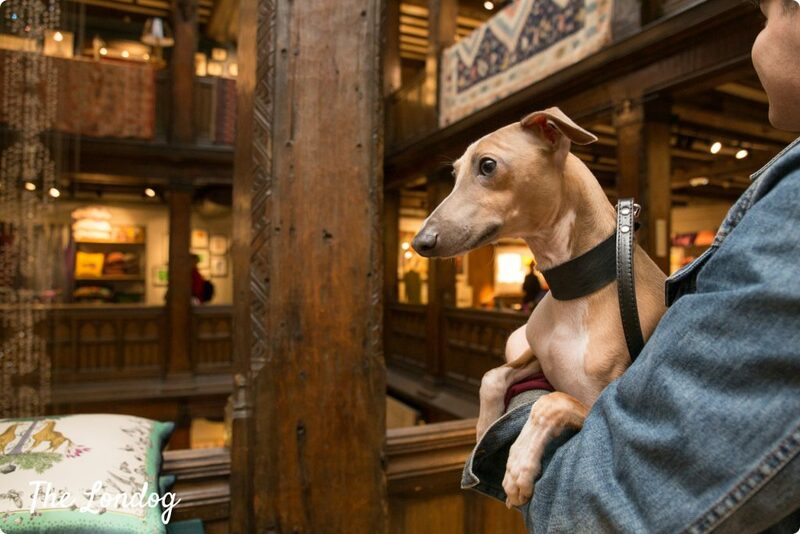 A couple of weeks back we visited Liberty London with Ralph the Italian Greyhound an had a mini photo session for this post. Another of the iconic departments stores of London, Selfridges – which Oxford Street’s store opened in 1909 -, has a dog-friendly policy. However its pet rules are quite restrictive: dogs are allowed in the store only as long as they are held in a bag or carried at all times. 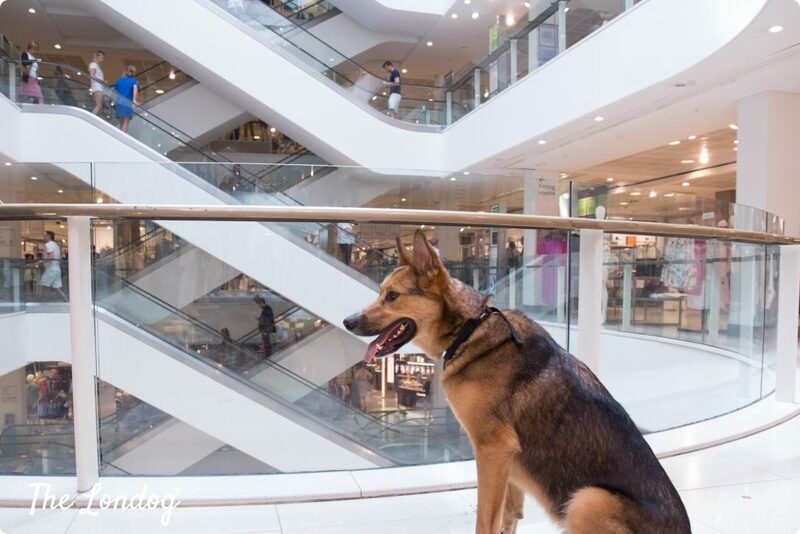 We went to visit Peter Jones with Argo on a few occasion after their confirmation and yes, it is really dog-friendly, and more than a clerk stopped to make a fuss over him too! Since no indication was given on John Lewis’ website, we had got in touch with their Customer Care Service to confirm their dog policy and they replied that dogs are not allowed unless they are certified guide dogs. UPDATE (26 November 2018): Some lovely doggie readers got in touch flagging that John Lewis is apparently rolling out a new policy and will be allowing dogs in all their stores. We have reached out to John Lewis to get their confirmation of the new policy and have just got an awesome response in: “It is indeed. We’re now a re-tail store”. 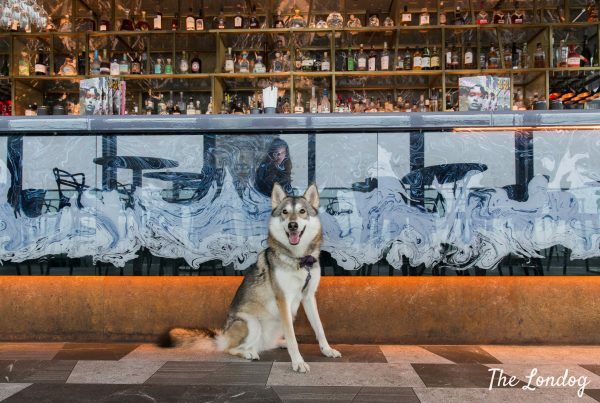 Peter Jones is not the only department store with a full dog-friendly policy. 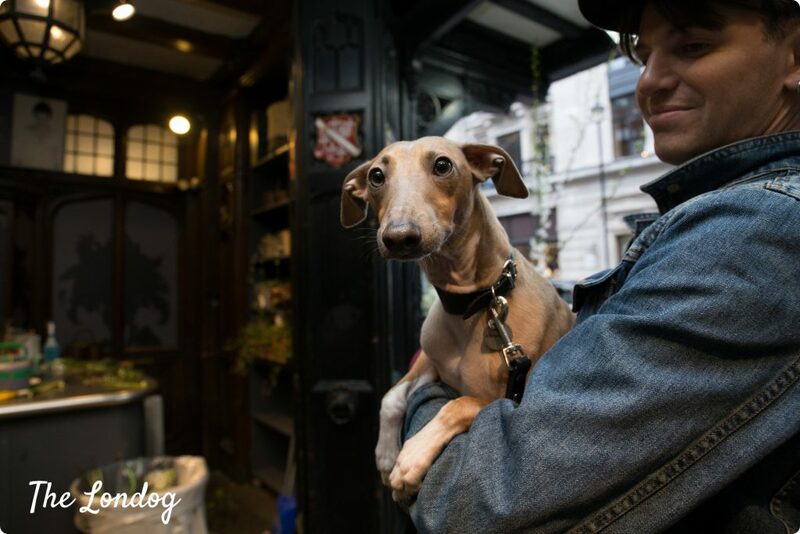 Shortly after publishing this post, Fenwick Bond Street’s Customer Care confirmed that dogs of any size are welcome at their store (following a kind reader’s tip, who we thank). We went along to test it too with Argo, and it was lovely not to feel an alien. 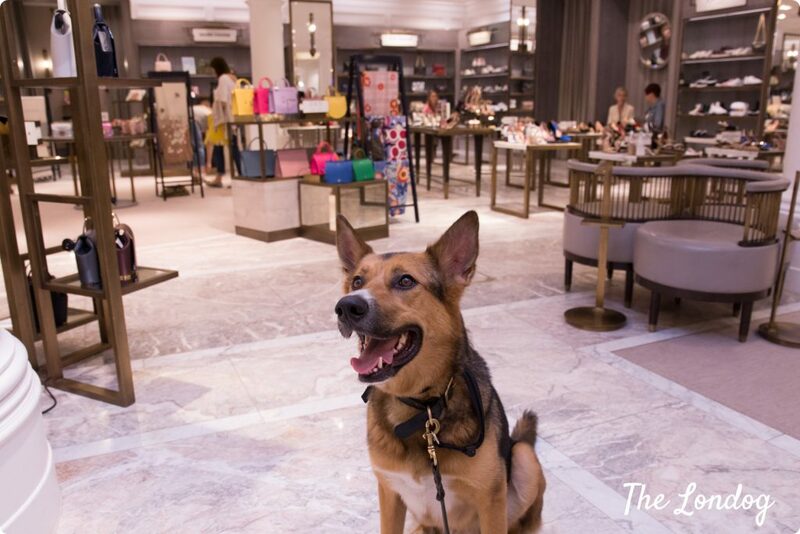 After receiving some feedback from readers who said that House of Fraser in Oxford Street is dog-friendly, we went to check it out personally. We were stopped on the door by security and after explaining what we had been told, they let us speak with the store manager, who informed us that they decided to introduced a “dogs only if carried” policy. This because there had been an incident where a customer had tripped over another customer’s dog extensible leash and got injured on a counter (and sued House of Fraser for it! ), so they decided that for safety reasons they would not allow dogs unless they are carried in a bag at all times. Unfortunately in many other emporiums your dog will not be welcome. Major department stores Harrods, Fortnum & Mason and John Lewis apply a no dogs rule (unless they are guide dogs). Let’s have a closer look. No dogs at Fortunm & Mason either: Fortum & Mason’s FAQs indicate that pets other than guide dogs are not allowed in their stores (the direct link to the FAQs is not available on their website, but on the homepage you can find the FAQ link at the bottom and you will be able to search and find “Can I bring a pet animal in store? We do not currently allow animals other than guide and hearing dogs into our stores”). In conclusion, if you have a large dog, your options are Peter Jones and Fenwick. Of course, unless you want to try and take your pooch to Selfridges/House of Fraser carrying him/her for the whole time (and probably booking a physiotherapy session for the day after), or disguise them as a human like those shots of Weimaraner dogs in human clothes by photographer William Wegman to sneak in any venue. G O O D S H O P P I N G ! Would you like us to look into any other department stores’ policies, or there is any other you know about that you would like us to add? We’d love to hear from you! Thanks for this. I have recently taken my little cockerpoo to Peter Jones, and have regularly seen others with small dogs there. In fact I even saw a very large dog with his owner there waiting to collect a parcel. 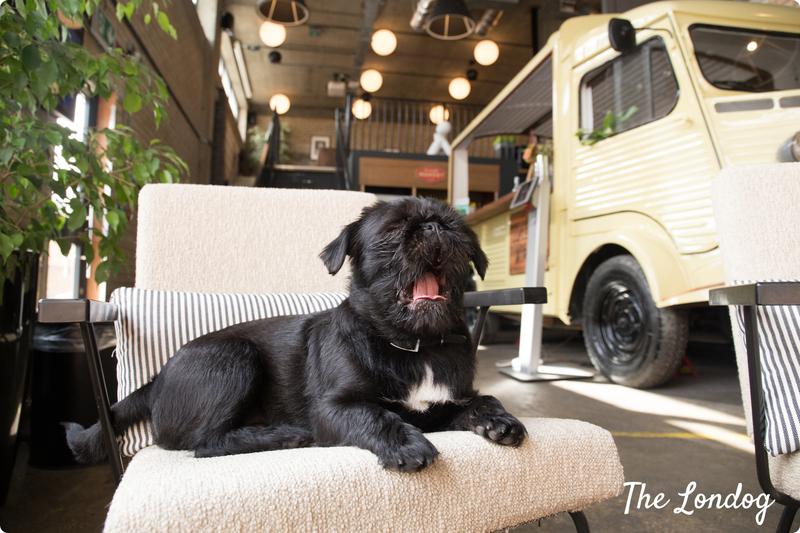 The staff confirmed that they are relaxed about small dogs and implied that any well behaved friendly dog was welcome. Hi Simone, thank you very much for this information! We are currently trying and getting an official position from Peter Jones to be added to the blog, so very nice to hear about your experience! We just confirmed about Peter Jones with staff, but they also highlighted that the rest of the partnership maintains a no dogs policy unless they are guide dogs. We take our miniature poodle in Peter Jones and the staff always fuss over her. Thanks Chris, awesome to hear! I’m fairly bold with the pooch and take a policy of ‘they’ll tell me if I’m not allowed’, I just carry him until I get the attention of a member of staff and see whether they send me packing. Obviously in food-serving places I do not do this. I can say Oliver Bonas are really dog-friendly (particularly Greenwich) and also Apple. I’ve taken Caesar to the Covent Garden Apple store before and they were very pleased to have him. Also the Flood Gallery in Greenwich were very welcoming. Hiya, I took my staffie (Barker or @barkerfromthebox as lots of people know him by!!) 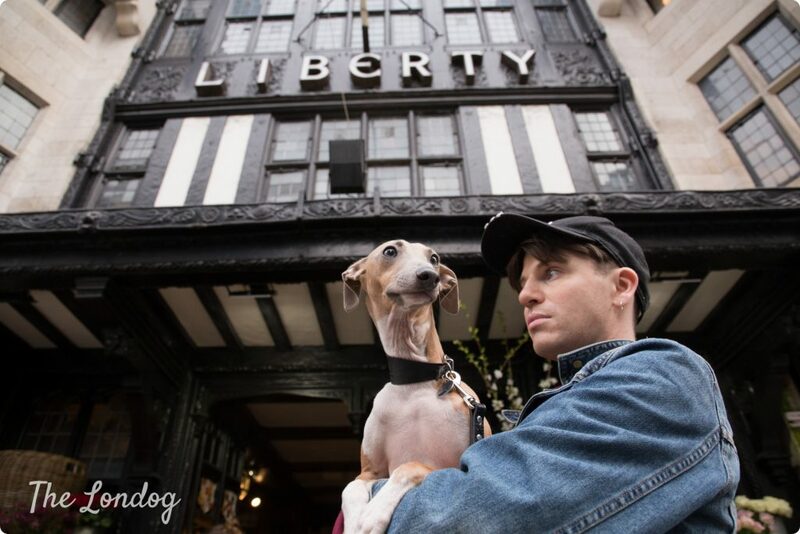 into central London last summer to visit Liberty London as I had heard it was dog friendly. He loves meeting new people and having new experiences but unfortunately sometimes because of certain media negativity and miseducation some people or places do not treat him as well as they would other dog breeds. But never the less we went off, and he was so excited with his water and treats in his backpack (which I always end up carrying?!) and his little ‘I love London bandana’ to explore! It was a lovely warm day but then just as we were walking to Liberty’s a huge rain shower hit and anyone that knows Staffies knows that most of them hate rain!! So soaking wet and out of breath we both ran into Liberty’s front door! Standing in the doorway looking like two drowned rats, Barker quivered and looked a little scared!! I was thinking to myself , well that’s not exactly the positive entrance I imagined. Then out from behind one of the counters a lovely lady came bounding over with a big smile on her face and towel in hand!! (I’m not sure where she got the towel from, I hope it wasn’t stock!) Went straight over to Barker and said ‘oh my gorgeous little one, you look freezing, let’s dry you off’!! Then proceeded to rub him dry with the towel! At this point I was slightly anxious not because he would attack her negatively (which some people wrongly would expect) because of such a impromptu hands on action from a unknown person but because he would jump upto her and shower her with so many staffie kisses and lick all her perfect make up off and get muddy footprints on her beautiful clothes!!!!!!! ? I needn’t of worried……yes he was getting so excited with the attention he was in full staffie kiss mode but she truly embraced it! At this point 2 other members of staff came over to say hello to him and asked him his name, if he had been to the store before and if there was anything that they could show him and his mummy? (Of course I had to interpret his answers!! Lol). I stood there in complete shock at how amazing he was being treated. After being in retail management for 30 years and also managing a dog boutique and spa where the dogs were the customers (their humans just had the credit card!) and a need to really increase and educate on the Staffie and bull breeds positive reputation, I know what I expect from retail stores especially when it comes to dogs!! I can’t praise Liberty’s enough! There was no discrimination on breed or size and the customer service was out of this world. Oh and they also dried me off too after they had sorted my boy!! (He always comes first in my eyes anyway!) Just incase you thought they had forgot about me! They must of called upstairs to a colleague too because as we were exploring the beautiful first floor a gentleman came over, knelt down and said..’So you must be the handsome Barker I have heard so much about, can I help you and your mummy with anything’ he then got covered in full staffie kisses of course!!! Lol! Which he loved! I really hope they haven’t changed their policy as I wouldn’t say Barker is a small dog!! The positive attention he got and the way they looked after us was fabulous and even though I wasn’t planning to spend much money in there, because of the amazing way we were treated ended up spending quite a lot!! So win win for all!! Maybe another trip is on the cards to check it out!! Sounds like Barker is such a lovely chap! Why are stores anti large dogs? My Great Danes are gentle giants and one is a canine blood donar and the other one will be one when he is older. It is totally unacceptable that there is size discrimination. Obviously I would not take them into food departments or near anything that they could get hair on. 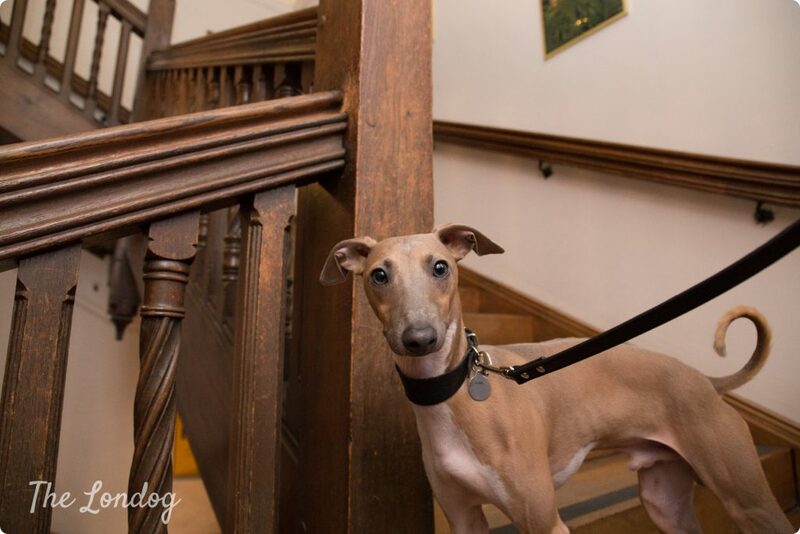 I have taken my dogs into the Savoy and Guildhall where they were part of events and helping raise money for Variety and Chickenshed but are not allowed elsewhere because of their size. Thank you Sharon, very interesting! I’m new to your website, but thought it worth mentioning that the only dog friendly House of Fraser (all floors) that I know of, is in my home town of Richmond, Surrey. Many thanks for your very kind comment and for taking the time to share this information. Interesting! I have taken my Jack Russel Ruby shopping in House of Fraser in Oxford street and King William street. thank you very much for your message and information! That’s fantastic. We’ll confirm the dog policy (size etc) and add to the list. Harrods used to have dog kennels where you could leave your dogs while you shopped. !!! Oh wow… thank you for the information. Pity they seem to have discontinued this according to their policy. Hello! John Lewis changed their policy and from November 1st 2018 are trialling allowing dogs in a limited number of stores (including my local one). We’ve been for a visit and my dog was a hit! They don’t seem to be advertising the fact, maybe they don’t want to be overrun! Thank you very much for sharing! That’s really great news! I will get in touch with them to ask if they are able to share a list of London stores participating to the policy change. I am so pleased dogs are aloud in these stores, with dogs being stolen, you should never tie your dog out side a shop , or leave them in a car . This also applies in the country side . In the Cotswolds our vets are even warning us about letting your dog of the lead in parks, there are dog nappers. around. Towns must be a nightmare, SO WELL DUN THESE STORES AND PLEASE MORE JOIN IN.